Silverthorne will celebrate its three local Olympians, as well as a pair of Paralympians, at 11 a.m. April 28, the last Saturday of the month. Many people in town all but demanded a celebration of some kind when Silverthorne snowboarder Red Gerard became the first American to win gold at the 2018 Winter Games. 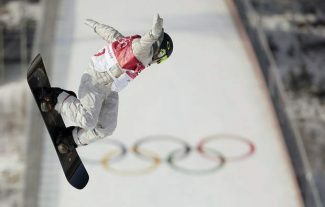 He did so after stomping multiple landings during the men’s slopestyle competition. About two weeks later, Kyle Mack, another snowboarder from Silverthorne, won silver in the big air contest. A third local rider, Chris Corning, also qualified for the final round but did not medal in the contest. In addition to Silverthorne’s three Olympians, U.S. Paralympians Amy Purdy and Jimmy Sides, both of Silverthorne, will be honored during the celebration, according to town staff. Purdy became a two-time Paralympic medalist Monday after she finished second in the snowboard cross – lower limb 1 impaired race.